If you are planning to enhance your movie watching experience or even listening to music, right from the comfort of your bedroom, the F&D A111F is just the right product for you. These 2. 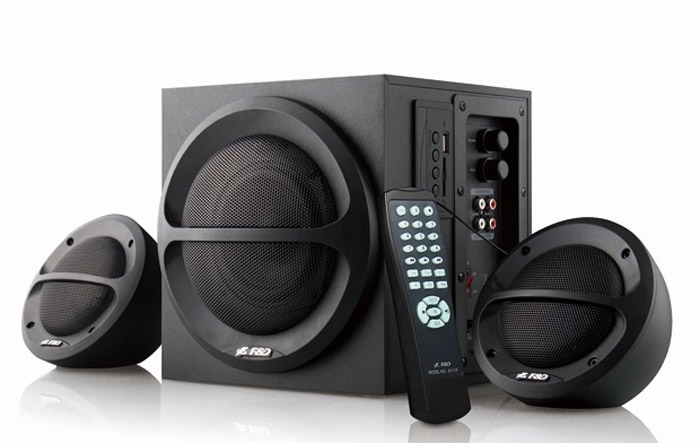 1 channel multimedia speakers can easily be connected to your desktop or laptop to enhance the sound quality of your content. One of the biggest features of this product is the outer wooden case that ensures less distortion and an enhanced bass experience. It has a sub-woofer and two satellite speakers that delivers a holistic musical experience. The brilliant design will make the visitors envy on its matt black body and simple knob controls. The remote control allows you to stick to your couch or your bed and make hassle free selections. And if that’s not enough, it has a whooping peak power handling capacity of 3000 W. This product comes with a warranty of 1 year. The F&D A111F is a brilliantly designed product. This 2. 1 speaker has a 10.16 cm full range driver for the satellite speakers. It has a heavy duty design with a metal grille that gives it a strong built and a long lasting protection. The wooden cabinet ensures high sound quality with enhances voice clarity and bass. This also reduces the distortion. For Indian regions with fluctuation power supply, this product comes with an in-built AVR which is the Automatic Voltage Regulator that delivers high efficiency even with low power consumption. This helps the device go easy on your electricity bills. The side panel of the cabinet has all the controls for easy selections. The highly sensitive simple rotating knob design for the Volume and the Bass boost these functions with a simple touch. This product comes with a fluorescence full function remote control. 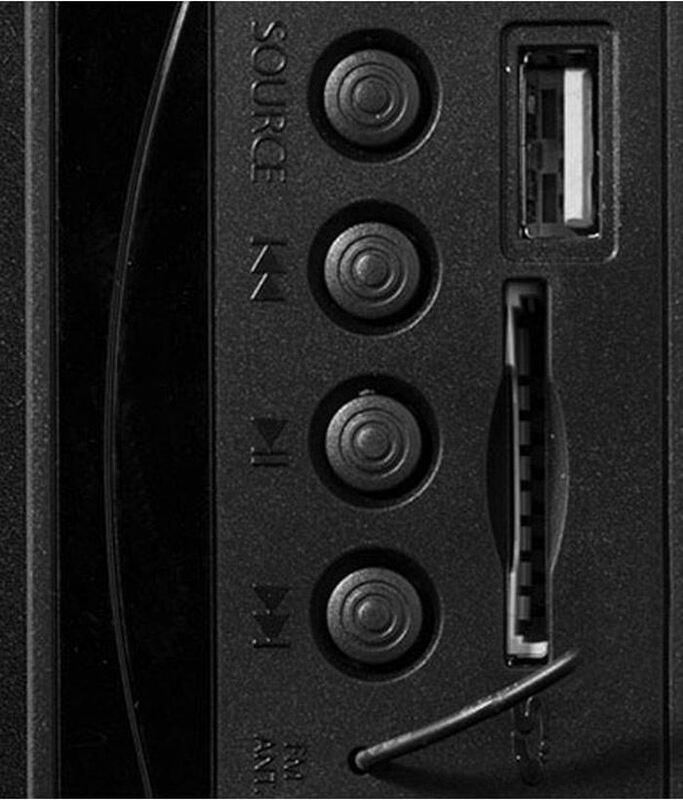 This device supports audio formats from various devices such as the USB, AUX-IN and a memory card slot. It also has a Digital FM tuner, in case if you have a profound taste in classics or just the regular popular radio. 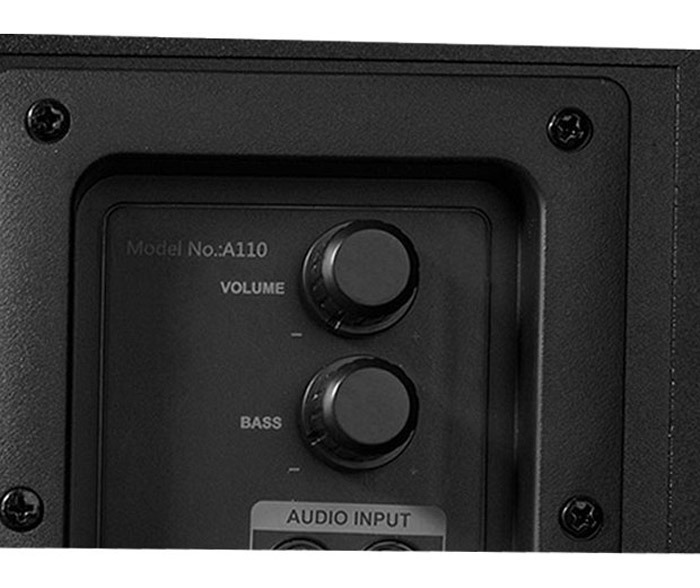 The RMS output power of the F&D A111F is 35 W. The satellite speaker power is 11 W x 2 and the sub-woofer power is 13 W.
The sub-woofer frequency response of the F&D A111F is 65 Hz – 120 Hz. The satellite speaker frequency response of this product is 120 Hz – 20 KHz. This product has a USB port. This product has a Memory card slot. This product has an AUX-IN. This product comes with a Digital FM Tuner.